He currently serves as Military Deputy, Office of the Assistant Secretary of the Air Force for Acquisition at the Pentagon, Washington, D.C. The nomination requires confirmation by the U.S. Senate. If confirmed, Bunch would direct AFMC’s enterprise which oversees 80,000 employees and manages nearly $60 billion annually. The command oversees eight Air Force installations nationwide and is charged with developing, acquiring, modernizing and sustaining Air Force weapon systems across their life cycle. The AFMC portfolio ranges from basic and applied scientific research, to Air Force uniforms, information systems and software, manned and unmanned aircraft, and directed energy weapons. 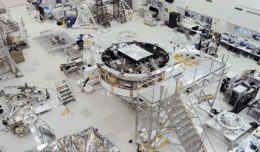 The command includes six centers, including acquisition product centers, depot maintenance facilities, global logistics and supply chain wings, the Air Force Research Laboratory, and the National Museum of the U.S. Air Force. Its Air Force Installation and Mission Support Center provides combat support impacting installation operations and Airmen readiness across the Air Force. Bunch would take the banner of AFMC as the new National Defense Strategy focuses each of the services on innovation, cost-effective modernization and enhancing lethality to address the challenge of great power competition. He is a graduate of the U.S. Air Force Academy and the U.S. Air Force Test Pilot School. No stranger to AFMC or to Wright-Patterson, Bunch has served in a number of leadership roles in the weapons development, acquisition, and test communities, including Program Executive Officer for Fighters and Bombers, commander of the Air Force Security Assistance Center, and commander of the Air Force Test Center. The B-52 and B-2 bombers are among the many aircraft he has flown. Pending confirmation, Bunch would succeed Gen. Ellen Pawlikowski, who retired in September after more than 40 years of commissioned service. When Pawlikowski assumed command on June 8, 2015, she became AFMC’s second female leader and only the third female four-star general officer in Air Force history. In late August 2018, Lt. Gen. Robert D. McMurry Jr. was named as interim commander of AFMC, bridging the gap from Gen Pawlikowski’s retirement until a four-star successor was named and confirmed. 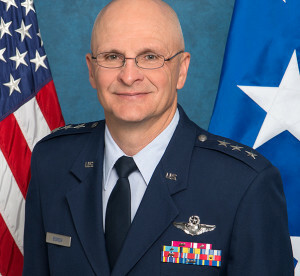 McMurry is dual hatted, serving as Air Force Life Cycle Management Center commander as well as interim AFMC commander. If Bunch is confirmed, McMurry will return full time to his duties as Air Force Life Cycle Management Center commander. Date for an assumption of command ceremony has not yet been set.